Frodo Baggins knew the Ringwraiths were searching for him – and the Ring of Power he bore that would enable Sauron to destroy all that was good in Middle-earth. Now it was up to Frodo and his faithful servant Sam to carry the Ring to where it could be detroyed – in the very center of Sauron’s dark kingdom. The Fellowship of the Rings was never in my TBR pile for 2012, but when I saw this on TFG in Goodreads, I decided that I want to join in although I never did participated in the group personally. To be honest, The Fellowship of the Rings is one of those books that I dreaded to review not because it was horrible but because I was too afraid that I can’t properly write down my thoughts. 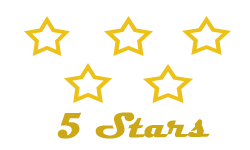 I’ve read and reviewed The Hobbit and that alone was a handful though I enjoyed my experience very much. I am not like others who had read this way way back, this is actually my first time to read the book [I have watched the movie(s) first before I had the guts to read the book(s)]. Tolkien created a world so vivid and descriptive that you can actually “see” it as you read it (well given that some of us have watched the movies first that’s a no brainer) but you know what I mean right? Tolkien has the talent in enticing readers to devour his novels not because of how talented he is in writing but because he created a world so new that readers can imagine and “travel” to. The world alone is a pull. It is not only Middle Earth that was interesting, it was also the characters and the adventure. It was a voyage that once you experience it, it will certainly be an expeirence to remember. I am so proud of reading The Fellowship of the Rings, to be able to finish it and to proudly say that I loved every page of it. Reading The Fellowship of the Ring maybe hard at first since Tolkien is a lot to grasp but every minute invested reading this novel is worth it. WARNING: Never read this book if you only have an hour or 2 a day since it can be very addictive and very disappointing when you have to put it down. Believe me, I know. One thing I also like to note is how the movie adaptation was near close to the book. There were a few notable deductions but I believe it was much needed. A much better explanation is: The movie is the compressed version and the book itself is the in-depth and detailed version of the story. If you want the gist and not read the in between, watch the move; if you want to read EVERYTHING, grab the book. The Fellowship of the Rings is a definite 10 stars on my 5 stars scale. 🙂 I can’t tell you enough how I love The Fellowship of the Rings and I can’t wait to read The Two Towers and The Return of the Rings – I just need to buy the books without the movie cover. Oh I hate those movie covers. Grrrr. SIDE NOTE: And interestingly, there are quite a number of people who rated this 1 Star and 2 Stars in Goodreads (filter it by rating and see why). Ohh why people??!!! J.R.R. 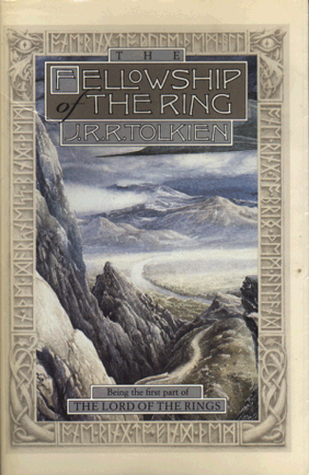 Tolkien’s classic prelude to his Lord of the Rings trilogy featuring cover art by the author. Bilbo Baggins is a hobbit who enjoys a comfortable, unambitious life, rarely traveling any farther than his pantry or cellar. But his contentment is disturbed when the wizard Gandalf and a company of dwarves arrive on his doorstep one day to whisk him away on an adventure. They have launched a plot to raid the treasure hoard guarded by Smaug the Magnificent, a large and very dangerous dragon. Bilbo reluctantly joins their quest, unaware that on his journey to the Lonely Mountain he will encounter both a magic ring and a frightening creature known as Gollum. Written for J.R.R. Tolkien’s own children, The Hobbit has sold many millions of copies worldwide and established itself as a modern classic. There are numerous books that are praised for it’s magnificence and how beautifully it captured a readers mind. I can’t count how many books that I’ve read which I can count on this category but I can safely tell you now that The Hobbit is definitely one of them. Before reading The Hobbit, I loved watching The LOTR movies, I can’t even tell you how many times and hours I have spent in re-watching the movies and to be honest I am ashamed to admit that it is only recently that I have convinced myself to read The Hobbit. The Hobbit is a great adventure book that provided readers with an imaginary euphoria that created the outstanding visualization of Middle Earth and all the characters significant to the progression of the story. The characters were amazing and I’ve loved each and every one of them. 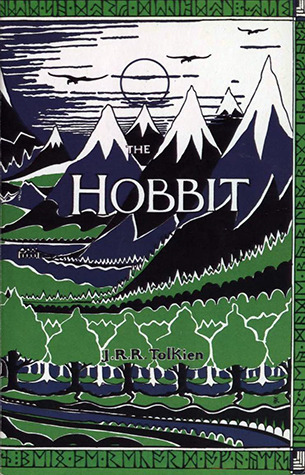 Although some may find this book boring or slow, when I started reading The Hobbit I was so enamored with the story I didn’t mind the long hours spent in reading. there is no boring moments in my opinion, in fact The Hobbit is so “active” you’ll be turning pages even in the late hours so be mindful of the time onces you start reading it. The writing style of Tolkien is so easy to adapt to in addition to the lovely lyricism and passages included in the book. I believe a lot of readers would start re-reading The Hobbit in anticipation of the upcoming movie and I also believe that they’ll enjoy reminiscing their childhood memories of The Hobbit. I hope that the movie is as good as the book (everybody wishes that a movie adaptation is as great as the book so let’s hope that the movie doesn’t disappoint.) Highly recommended, even if you don’t like elves and magic, make an exception to this book, it will never disappoint you one bit. 🙂 Giving it a 5!